Thanks for choosing Droom Credit! 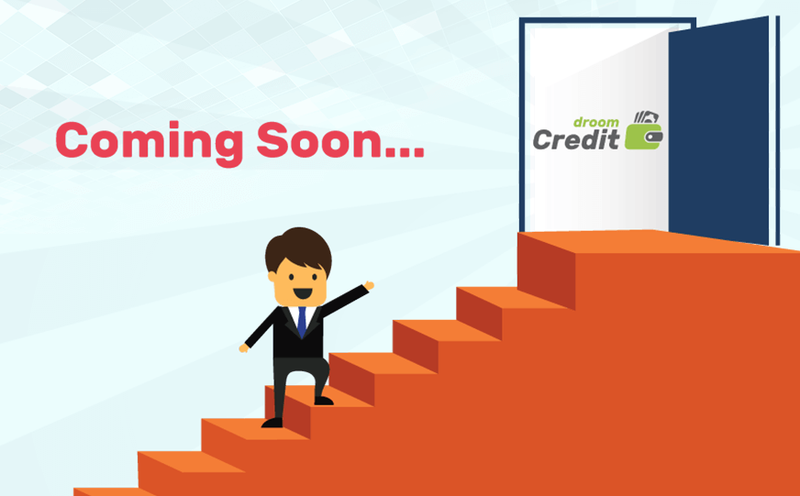 Loan application for Droom Credit is currently available on vehicles from www.droom.in only. Please enter listing URL or DLID of your selected vehicle from droom.in to apply for loan. Alternatively, you can also select a vehicle of choice on www.droom.in & apply for loan. Your Search for Dream Car finally ends here. Apply for New & Pre-Owned (Used) Car Loan and buy a car of your choice. Car Loan - Why to opt for a car loan? A car is an expensive purchase that demands the availability of heavy funds in a single go. So, what if a major proportion of said purchase is financed from a liable organization. It allows you to procure your car within no time, without spending time for arranging the money either through debts, loans or long-term saving. It helps in managing the value of purchase for a new or used automobile by spreading it across an extended period. This makes it easier to acquire the automobile. How to check the eligibility for the loan amount? A customer can click on "Apply for New/Used Car Loan" and answer few questions to get loan decision in 30 seconds for free. Who are eligible to apply for car loan? A person who is an Indian citizen and above 18 years of age can apply for a car loan. What is the car loan interest rates? The car loan interest rates offered are the best in the industry. They are defined based on the location of the customer, tenure of loan and customer's profile. What are required set of documents? What is the loan processing time? The average loan disbursing time is of 2-3 working days. Can I pre-pay the entire loan amount? Yes, you can pre-pay the entire loan amount. Am I eligible to get loan for the purchase of a used car? Yes, you are eligible to get loan for the purchase of a pre-owned car. What is the maximum amount that I can get as loan to purchase a new or used car? You can finance up to 100% amount, based on the customer's profile to buy a new car. Whereas, for a used car the finance is decided based on the age, condition, kilometers driven by the vehicle. What are the tenure options available? The loan tenure options available are from 1 year (12 months) to 7 years (84 months). How do I approach Droom Credit for a Car Loan? Write to us using the Contact Us. Call us at our 24-hour Customer Care (1800 407 070707). You are in the middle of an application process. Do you still want to go to your account? If yes, then your application has been registered. Please note your application id -. You are in the middle of an application process. Do you still want to go ahead? If yes, then your application has been registered. Please note your application id -. Copyright © 2019 Droom Credit. All rights reserved.